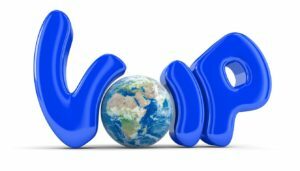 Is VOIP the Solution for Your Telecommunications Needs? A VOIP (Voice over Internet Protocol) telephone system converts analog signals to digital and transmits them over the internet as opposed to the traditional landline telephone system or PBX (Private Branch Exchange), which transmits an analog signal over copper lines. Unless your business is not using more than one phone, is comfortable with your current landline system or are a larger company with complex telecommunications requirements and a budget to match, you have probably considered making the switch from an expensive traditional PBX to VOIP. As an experienced IT consultant in the metro DC area, Network Depot has helped many diverse clients find their optimal telecommunications solution. For help in making your decision, please find here a quick summary of the benefits of using a VOIP vs. traditional PBX along with some potential drawbacks. The installation and operating costs of a VOIP system are dramatically lower than a traditional PBX. There is no expensive PBX hardware to purchase, install, and maintain as this is done through your internet service provider. In addition, you do not have to budget a large amount for any technical help, in-house or outsourced, to service the system. We would, however, recommend that your company still keep an open support contract with your VOIP provider. Your company will also save money on your phone bill as long distance and international calls are free or much cheaper than with landlines. A company can quickly have a professional office phone system without a costly and time-consuming set-up process. In addition, VOIP can be set up to coexist with your current PBX installation and enhance its features. This is important for companies, which want to maintain some landline capability. When a company’s office phone system is virtual, their employees can work with their same contact information and all calling features such as voicemail, email, and call forwarding from home, other offices, and with their mobile devices. In addition, outbound and inbound calls from or to the users’ cell or home phones will appear like they are coming from their workplace number. A VOIP system can easily expand to include more users as the company grows. Well-designed web user interfaces make it easy for employees to use and manage the system. Users can quickly learn how to customize the system’s features most effectively for their needs. Your phone system is entirely dependent upon the internet, so if it goes down, your phone service goes down as well. In addition, if there is a loss of electric power you will lose your phone system. Thus, steady and reliable internet service and a dependable power supply are critical prerequisites to using VOIP. 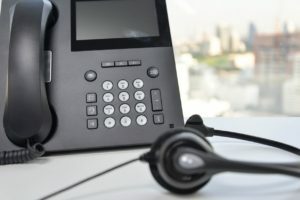 One important recommendation for a company using VOIP or other cloud-based services is to have at least two internet connections, with possibly one connection supporting your phone system and one for your internet/email. This will ensure that you will not lose phone and email communication abilities at the same time. A reliable and high performance internet connection is essential when using VOIP for quality telecommunications. Your system requires sufficient bandwidth to ensure calls are clear without lags, echoes, or other sound quality issues. Although this was an issue in years past, most users report that calls now sound as good as or better than over traditional landlines. However, avoidance of latency problems and other sound issues primarily depends on the quality of your internet connection as IP phones share bandwidth with computers. Another decision that needs to be made when using VOIP is whether to operate the system through a dedicated server at your office (self-hosted) or to use a server at an offsite data center location through a cloud service provider (hosted). The factors determining your decision to use Self-Hosted VOIP or a Hosted VOIP are similar to those you must consider when comparing the use of a dedicated server vs. the cloud. You can examine these pros and cons more closely in the earlier blog posts below. Will the Cloud Work for my Company’s Email Needs? Will the Cloud Work for my Company’s File Storage Needs? Will the Cloud Work for my Company’s Business Application Needs? For assistance in making your decision about VOIP or any other IT-related requirements, please contact us here at Network Depot.